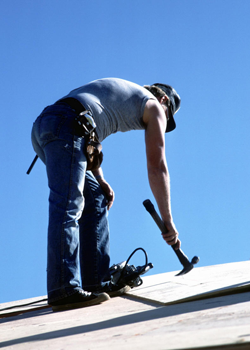 Have you or a loved one suffered a construction accident or work injury? Did you know that you may have additional legal recourse besides NYS Workers Compensation benefits? In some cases where it is determined that another party besides your employer is responsible for the dangerous condition or circumstances which led to your injuries, you can maintain an action against the other party, also known as third party liability. What is third party liability? It is where the injured person would be entitled to collect a settlement in addition to Workers' Compensation from the third party insurance. Whether it be construction accidents, auto accident, a dangerous premises accident or any other kind of incident, the experienced attorneys at Worby Groner Edelman of White Plains, New York can help determine if you have additional legal remedies available to you in addition to Workers' Compensation benefits. It is important that you contact us immediately so we can conduct the proper investigation and file the appropriate paperwork within the strict, and sometimes, very short, legal deadlines. Call us if you or someone you love has been injured in a workplace accident of any type so that we can help you with your legal concerns while you focus on getting well. The attorneys at Worby Groner Edelman are experienced in third party liability actions and can answer any questions that you have. Call us today for a free, no obligation consultation. Remember, there is never a fee unless we are successful!